Jackson, CA - The Amador chapter of Thrivent Financial for Lutherans will host a “thanksgiving” celebration for the work of local organizations on Saturday, Nov. 15 at 10 a.m at Rollingwood Clubhouse, 20 Rollingwood Drive, Jackson. As an expression of gratitude for all that they do for the community, Thrivent representative Jeff Costello from Sonora will present “big” checks to the Interfaith Food Bank ($500), Operation Care ($150), Upcountry Community Center ($250), and the Boy Scouts ($150 to Pack 89). Representatives of each organization — Tom Thompson, executive director of the Food Bank; Tammie Crabtree, Operation Care; Ruthella Turner, UpCountry Community Center, and Jason Hunter, Scout Pack 89 — will also be presented with a certificate of appreciation. Thrivent Financial, a fortune 500 Company, is a not-for-profit financial services membership organization helping approximately 2.5 million members achieve financial security and give back to their communities. 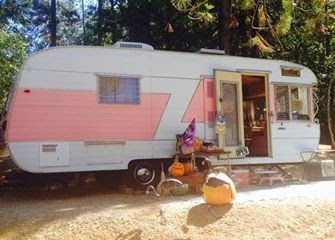 Amador County (October 21, 2014) - On Saturday, October 11th, 43 Vintage Trailers, ranging from tiny Teardrops to Vintage Airstreams filled the beautiful Gold Country Campground Resort in Pine Grove, California for a weekend of glamping. Glamping is a a new word for a new kind of travel, defined as "glamorous camping". The Trailerettes donned costumes and decked out their vintage trailers in an amazing array of spectacular display! 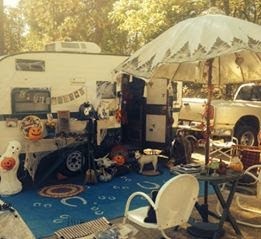 The public was invited to tour the trailers and vote for the spookiest, the best glamping setup, the most original, and the coziest trailer setup. There were so many fabulous displays and everyone deserved the awards. In fact, in addition to the four major categories, ribbons were awarded to all participants. The purpose of the event, headed by Trailerette's founder, Margaret Martan, was to not only have fun and learn more about vintage trailering, but also to help give back to the local community. Many of The Trailerettes donated stunning gift baskets and items for a raffle tobenefit Operation Care, a local nonprofit organization helping victims of domestic violence. By 2:00 when the raffle began, they had raised $1,800, and after the raffle, one of The Trailerettes named J-Byrd donated an additional $30, challenging the audience to match her donation or whatever they could do, so that the total donation would be $2,000. By the end of the day, the total amount raised was $2,118. "Our staff and volunteers are so thankful for the contributions made by The Trailerettes," said Tammie Crabtree, Executive Director of Operation Care. 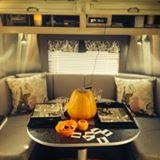 "We had a great time learning about vintage trailering, and meeting a new group of friends. The proceeds from this event will go a long way towards serving victims of domestic violence." 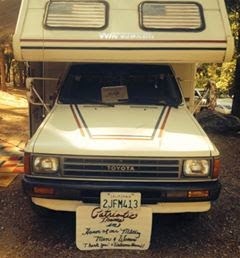 The Trailerettes are a group of women who have been camping together since 2010 in the Northern California area. For more information, visit their website athttp://www.trailerettes.net. Operation Care has been providing services and safe shelter for victims of domestic violence and sexual assault since 1980. During the 2013/14 fiscal year, 43 women and children were provided safe shelter. Advocates helped 40 victims with temporary restraining orders, and provided crisis intervention to 45 sexual assault victims. The staff provided 406 peer counseling sessions to 115 adults and 14 children, and hundreds of transports to appointments, court, and other locations. 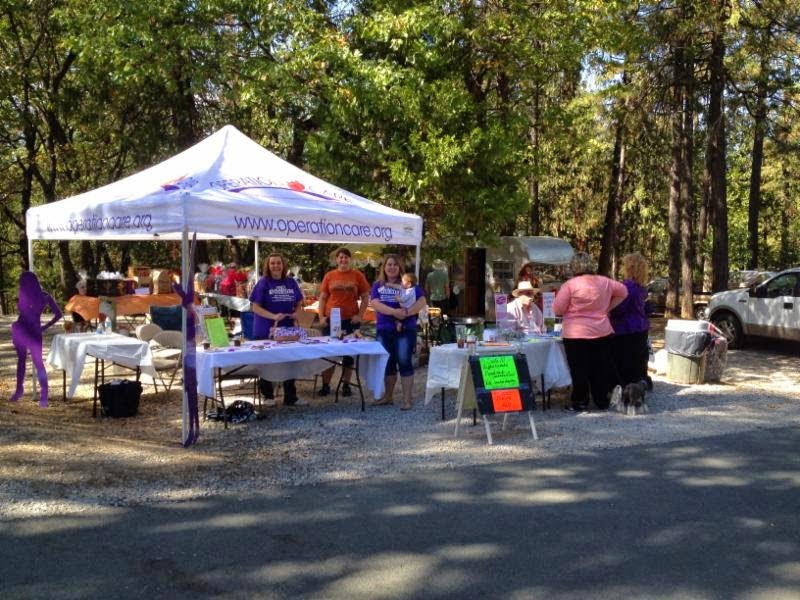 AMADOR COUNTY, CA (October 15, 2014) - While domestic violence has experienced a recent boost in awareness due to recent events, women and children in Amador County are in need of housing, resource and support programs as they flee abusive situations and work to rebuild their lives. Operation Care in Jackson, California received a $20,000 grant from The Mary Kay Foundation as part of the organization's annual Shelter Grant program to maintain critical services and programs. The Mary Kay Foundation awarded a total of $3 million in funding to 150 domestic violence shelters in all 50 states, the District of Columbia, Puerto Rico and Guam in advance of Domestic Violence Awareness Month in October. "It's been a bigger challenge than ever for shelters to keep their doors open and grants from The Mary Kay Foundation are a vital part in helping shelters move forward in their missions," said Anne Crews, board member for The Mary Kay Foundation and Vice President of Public Affairs for Mary Kay Inc. "The shelter grants are a signature program of the Foundation and represent just one of the ways Mary Kay is committed to ending domestic violence. We are proud to support local shelters like Operation Care that are on the front lines of helping women and children who need shelter and support from abuse." Operation Care will use the funds from this grant to provide critical support for its shelter program to help survivors of domestic violence. Last year, 276 women, men and children were assisted with with safe housing and other services. "Our staff, volunteers and clients are so thankful for this grant from The Mary Kay Foundation," said Tammie Crabtree, Executive Director of Operation Care. "We've provided a safe haven for women who have fled abusive relationships for the past 34 years and this grant will go a long way in helping us serve the needs of our community." Much of Operation Care's funding is through restrictive grants that state specifically how the money is to be used. The unrestricted funds from the Mary Kay Foundation will help provide the extra services that make such a big difference to survivors. For nearly 20 years The Mary Kay Foundation has supported the prevention and elimination of domestic violence, an epidemic that touches one in every four women in her lifetime. Through the Foundation's annual shelter grant program, $37 million has been granted to domestic violence organizations since 2000. Nearly 700 shelters requested funding this year. Click here for a full list of 2014 grant recipients or visit marykayfoundation.org for additional information. Operation Care has been providing services and safe shelter for victims of domestic violence and sexual assault since 1980. During the 2013/14 fiscal year, 43 women and children were provided safe shelter. Advocates helped 40 victims with temporary restraining orders, and provided crisis intervention to 30 sexual assault victims. The staff provided 406 peer counseling sessions to 115 adults and 14 children, and hundreds of transports to appointments, court, and other locations. The mission of the organization is to provide domestic violence and sexual assault support services, crisis intervention and education in Amador County. 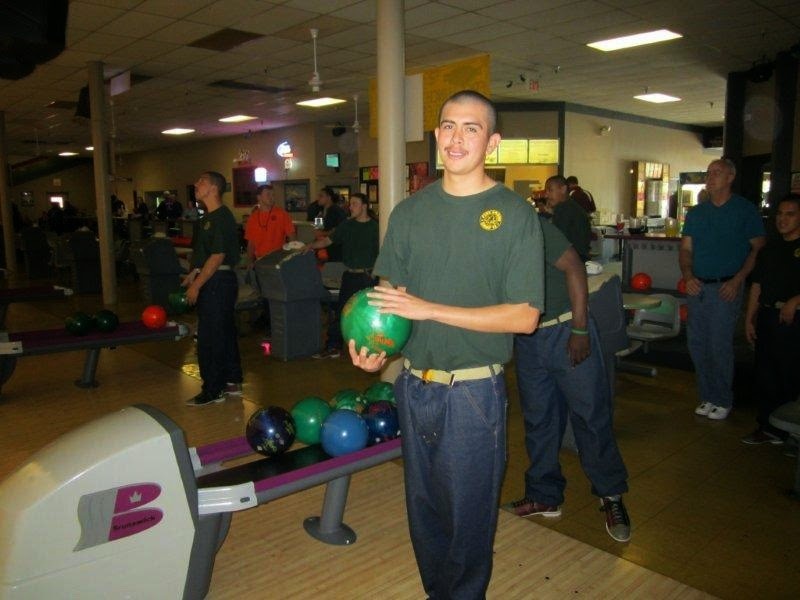 For more information call 209-223-2897 or visitwww.operationcare.org and https://www.facebook.com/operationcare. The Mary Kay Foundation was created in 1996, and its mission is two-fold: to fund research of cancers affecting women and to help prevent domestic violence while raising awareness of the issue. Since the Foundation's inception, it has awarded more than $37 million to shelters and programs addressing domestic violence prevention and nearly $22 million to cancer researchers and related causes throughout the United States. More than 97% of each donated dollar goes to the missions. To learn more about The Mary Kay Foundation, visitmarykayfoundation.org or call 1-877-MKCARES (652-2737). (Jackson, CA) – October 7, 2014 – The National 4-H Council is launching Fall 2014 4-H Paper Clover Campaign in partnership with Tractor Supply Company (TSC). This event marks the 4th year of collaboration between the organizations on the national in-store fundraiser, benefiting state and local 4‑H programming in each of the communities where a TSC or Del’s Farm and Feed Supply store is located. The Fall 2014 4-H Paper Clover Campaign will take place October 8-October 19, 2014. Shoppers at the Jackson Tractor Supply Co. store will have the opportunity to support 4-H in Amador County by choosing to purchase paper clovers for a $1 or more at checkout. All funds raised will be donated to 4-H, and will support 4-H youth development program activities in Amador County. In just four years, across 48 states, the TSC 4-H Paper Clover Campaign has provided more than $3.3 million to 4-H across the country. All proceeds raised directly benefit 4-H, with 70 percent of funds being returned to state and local 4-H programs. The effort has provided direct support for local camps, after-school programs and other activities, and has granted scholarships to these events that youth can explore their interests in everything from animal science to robotics. “Our Paper Clover efforts are one of the key ways our stores can give back to the community," said John Wendler, senior vice president of Marketing for Tractor Supply Company. "By providing essential funding for hundreds of thousands of 4-H young people, we are able to support local organizations that are important to both our customer and our Team Members. We're proud to help improve the many communities in which we have stores through our partnership with 4-H.That is what Tractor Supply is all about." Once again, funds donated during the national campaign will be tracked online and recorded by state and by store. Visit www.tractorsupply.com/4-H, for more information on the Fall 2014 4-H Paper Clover Campaign and to view the donation tracker. 4-H is a community of six million young people across America learning leadership, citizenship, and life skills. National 4-H Council is the private sector, non-profit partner of 4-H National Headquarters located at the National Institute for Food and Agriculture (NIFA) within USDA. The 4-H programs are implemented by the 111 land grant universities and the Cooperative Extension System through their 3,100 local Extension offices across the country. Learn more about 4-H at ucanr.edu/sites/AC4H/ or ucanr.edu/sites/AC4H/, find us on Facebook at facebook.com/AmadorCounty4H and Twitter at twitter.com/amador4H. In recognition of October as Domestic Violence Awareness Month Amador CAPC would like to remind everyone that children are affected in many ways by violence in the home. Whether it is directed at them or not. Whether it is physical, verbal, emotional or otherwise. The Hands and Words are not for Hurting Pledge is a step families can take to start a conversation about how we may hurt others or ourselves and the steps we can take to make positive changes. Please help share the work we do and forward this to your friends and colleagues too. Thank you for everything you do to help prevent child abuse in Amador County! These thirteen words help us pay attention to the things we say and do to ourselves and others that causes pain. This year October 19-25 is the national Hands and Words Are Not For Hurting campaign. The Pledge encourages dialogue about all forms of abuse and violence...from name calling, belittling, put downs, and negative self talk (I'm stupid, ugly...) words that can escalate to physical violence and abuse. Please join with hundreds of thousands of children and adults around the world who have taken the "Purple Hands & Words Pledge:"
Trace your hand on purple paper, sign your name and age. Post your pledge wherever people live and work together to serve as a visual reminder of your personal commitment to stop and think before you say or do anything hurtful. Discuss with your family the choices that every member makes when they become angry or upset. Everyone gets angry. Everyone disagrees. Anger is a feeling. Abuse and Violence is Always a Choice. Discuss what you will not do with your hands and words when you are angry. Never touch anyone when you are angry. Important! Never shake a baby or young child. If you become angry or frustrated when caring for a baby or young child, do not have the child in your arms. Put the child in a safe place until you are calm or someone else can care for the child. All children know they are valued; all families receive the support, education and tools necessary to give every child a safe, healthy and nurturing home; and a community that actively supports the health, safety, and education of its children. CAPC is committed to preventing all forms of child abuse in Amador County through community partnerships, free trainings, education, and family-centered events that value children, strengthen families and engage communities. Domestic Violence Awareness Month (DVAM) evolved from the "Day of Unity" in October 1981 conceived by the National Coalition Against Domestic Violence. The intent was to connect advocates across the nation who were working to end violence against women and their children. The Day of Unity soon became an entire week devoted to a range of activities conducted at the local, state, and national levels. From the 1996 Domestic Violence Awareness Month Resource Manual of the National Coalition Against Domestic Violence. Pine Grove Youth Conservation Camp held an A-Phase Event. This is an incentive Program to recognize guys that are doing an outstanding program. With four crews out on fires we only had about 10 guys that could participate this time but they all had enjoyed the day. 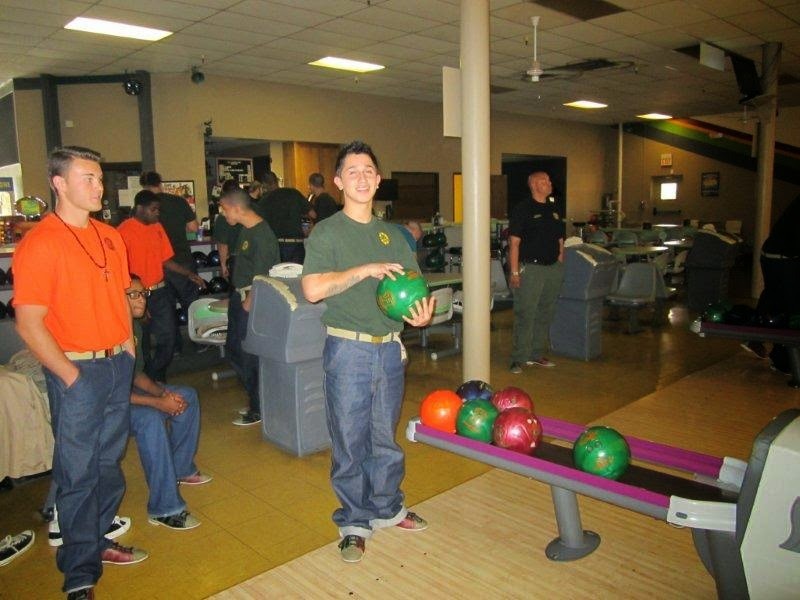 Youth Correctional Counselors Debby Brady and Adam Frazier took the campers to Sutter Creek Lanes Bowling Alley. 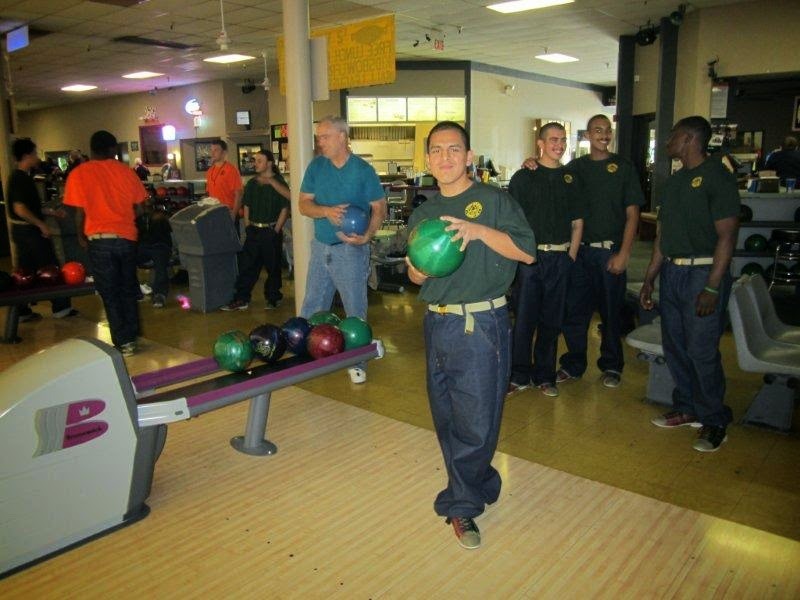 Seven of them had never bowled before, but they had a great time learning a new skill. There were some experienced bowlers in the group that helped guide them in the right direction. 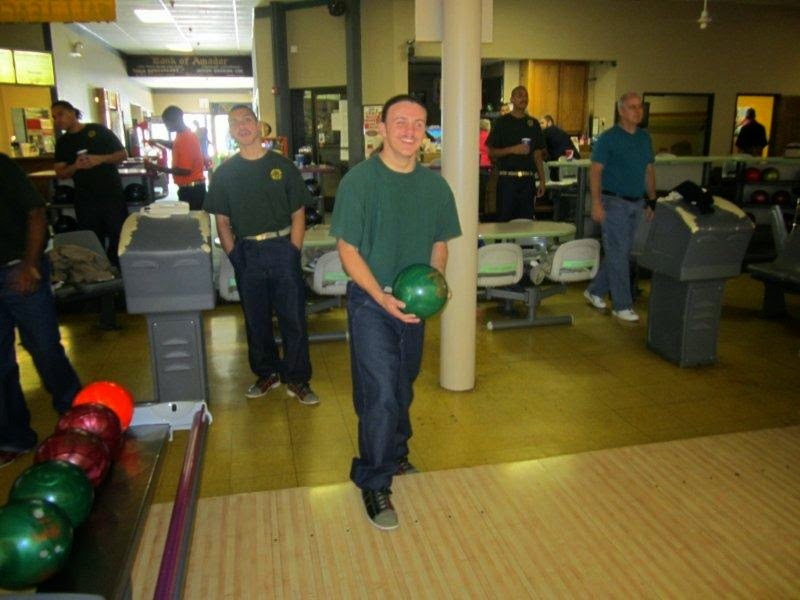 The group bowled two games, and then went to Round Table Pizza to enjoy a great lunch. A great time was had by all, and the youth were very grateful for the opportunity to attend this event. 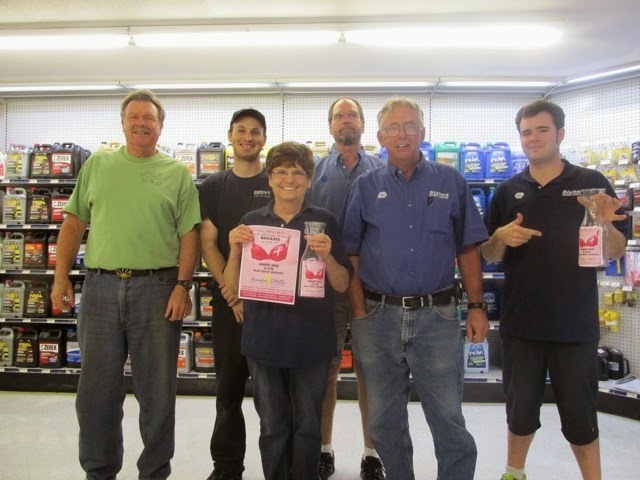 In honor of Cancer Awareness month Amador STARS has teamed up with Riebes Auto Parts in Jackson to collect funds to help local cancer patients on their journey. Drop by Reibe Auto in Jackson and make a donation today to help our friends and neighbors. We thank the staff of Reibe's for keeping it local. The Amador STARS is literally volunteer driven with 6 vans transporting patients to cancer treatments in El Dorado, Calaveras, Amador, San Joaquin, and Sacramento Counties. We also have a local cosmetologist who donates her time to assist ladies needing a wig during their treatment. Lending library, brochures and more support available. For more information or to find out how to volunteer with the Amador STARS, go to www.amadorstars.org or call the office at 223-1246. Local funds for Local Cancer Services. The Mokelumne River is cleaner thanks to the efforts of volunteers at Foothill Conservancy’s annual Mokelumne River Cleanup. Along 3.5 river miles, volunteers collected more than 300 pounds of trash and recyclables at sites on Electra Road, Big Bar, and upcountry at the North Fork crossing at Highway 26. Almost one third of the trash collected was recyclable bottles and cans. The most unusual find? A whole coconut, black and white sesame seeds and other seeds wrapped up in a piece of cloth. 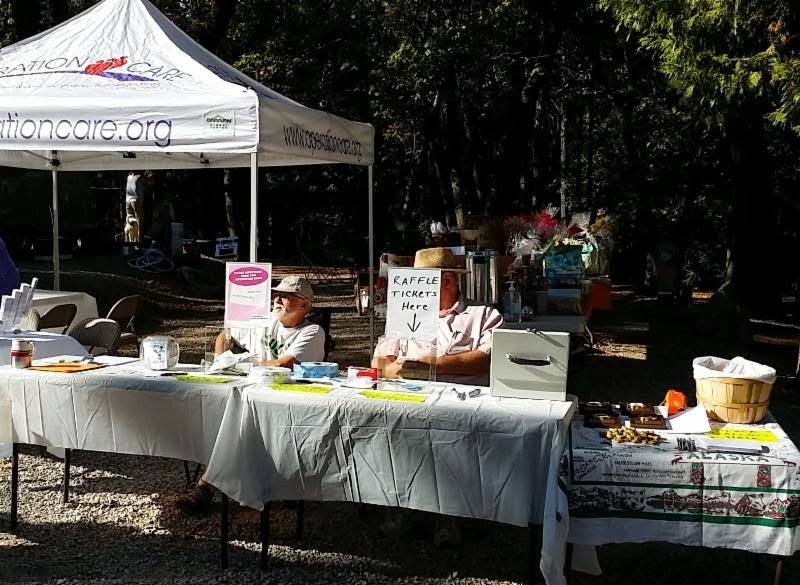 The Mokelumne River Cleanup was part of the Great Sierra River Cleanup, sponsored statewide by the Sierra Nevada Conservancy and a number of businesses and organizations. 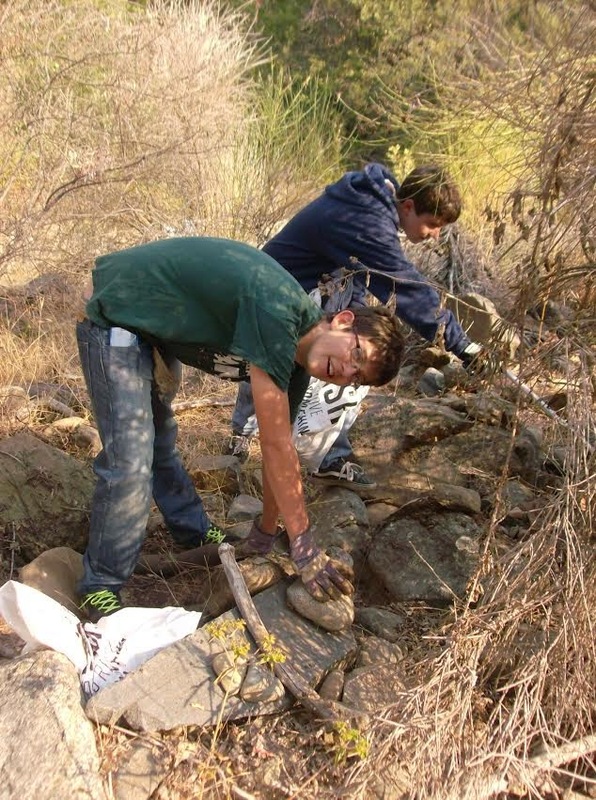 Foothill Conservancy would like to thank ACES Waste Services, Argonaut High School’s home economics class, New York Fitness, Martell Safeway, Munnerlyn’s Ice Cream, Pine Grove Market, and Pine Grove Stars Donuts for their local support of this year’s cleanup. At Operation Care, we want Amador County youth to thrive in healthy friendships and relationships, and to experience a violence-free lifestyle. Our GO! Youth Program is sponsoring several wonderful programs including an Anti-Bullying course called "Let's Get Real" and our "Chrysalis Group" for teen girls. Check out all the flyers to the right, or call Anna or Natalie at 223-2897 for more information. All of our Go! workshops are free of charge. Transportation assistance is also available if needed. Last month, we focused on Healthy Relationships and made a presentation to the Girl Scouts and to Independence High School students. If your group would like us to stop by to explain our services and programs or make a presentation about Healthy Relationships, please give us a call at 223-2897! orconsider making a donation to Operation Care in honor or in memory of a loved one. A gift card will be mailed to the person you honor in recognition of your contribution. This is a wonderful way to recognize a friend or family member while providing hope to those most vulnerable in our county. Please join us for one or more of our youth programs! Check out the flyers below. Give us a call at209.223.2897 for more information. Our Anti-Bullying Program for Elementary and Middle-School students called "Let's Get Real" examines a variety of issues that lead to taunting and bullying, including racial differences, perceived sexual orientation, learning disabilities, religious differences, sexual harassment and others. The program not only gives a voice to targeted kids, but also to kids who do the bullying to find out why they lash out at their peers and how it makes them feel. Classes are on Wednesdays from 3:30 - 4:30 through November 5th. Chrysalis group is for teenage girls (12-18 yrs old). Chrysalis girls will look at issues that surround them throughout their lives such as anger management, drugs, alcohol, bullying, and sexual harassment. Our goal is to empower teenage girls by giving them the knowledge to make safe choices, build healthy relationships, form new friendships and strengthen their self-esteem. These classes will be offered at Operation CareFREE OF CHARGE every Monday from 3:30 - 4:30 pm. through November 12th. Transportation can be provided. Anna Garcia or Natalie Vetter at 223-2897. This course focuses on skills that help you every day. Topics include Healthy Relationships, Anger Control, Friendships, and Dealing with Stress. Sponsored by The Arc of Amador. 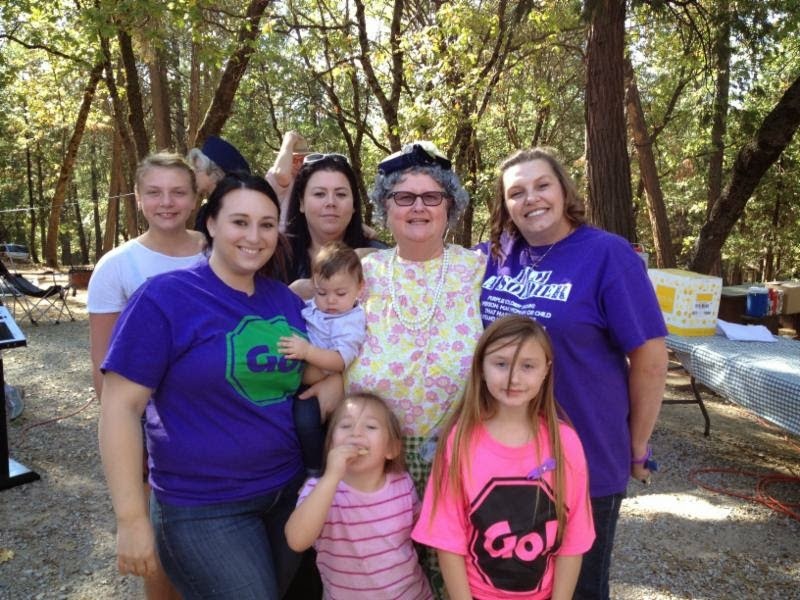 On September 6th, Operation Care participated in Amador Stars' Camp Out for Cancer. Our team set up a booth and sold chocolate covered pretzels, YUM!